Key Difference: Over the Top (OTT) refers to any content that is provided over the internet, instead of the traditional satellite or cable. While, Video On Demand (VOD) refers to any type of content that viewers can choose to play without time constraints, not taking into consideration the medium through which the content is provided. TV has changed a lot over the years since it was introduced way back in the mid-40s. From bulky TV units to sleek LEDs and now TV on smartphones, television has not only become more technologically advanced but also more complicated. Smart TVs, VOD, OTT, Internet, Netflix, there are no so many different options available for watching your favorite shows and movies. This is definitely why a lot of people are often confused when jargons such as OTT and VOD are used by content-companies. Terms such as Over the top (OTT) and Video on Demand (VOD) are confusing even when it comes to their definitions. This is because the fusion of internet with television has blurred a lot of lines when it comes to providing content. These days we are not solely relying on our cable providers for content, instead we can now access the same shows, movies and videos online whenever we want. So, where does OTT and VOD exactly come in? Well, as a layman you don’t need to worry about these terms but if you are someone who works extensively with media, video or as a content providers, then these are definitely useful terms that you should know. Let’s go back to the confusing definitions and see if we can make them any easier to understand. 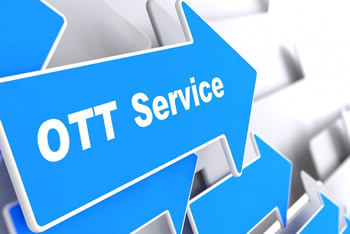 OTT refers to any content that is provided over the internet, instead of the traditional satellite or cable. While, VOD refers to any type of content that viewers can choose to play without time constraints, not taking into consideration the medium through which the content is provided. This is where the lines get blurred, because the provided content could be OTT, VOD and these days more commonly both. Something that is considered as pure OTT content can include any type of content that is provided over the internet but live such as Live-streaming sports or news. VOD content is a massive category that includes a lot different features, but something that is pure VOD and doesn’t include OTT could be a cable set-up box that allows you to record and watch content at a later time. However, in today’s world a majority of the content usually falls under the category of both OTT and VOD. These include companies such as Netflix, YouTube, Prime Video, and anything else that viewers consume on their phones or their smart TVs. This is why it is very confusing to understand the different between OTT and VOD since these days they often go hand-in-hand. A majority of the content that we receive and watch today commonly fall under OTT and VOD because we access it through the internet and choose to play it at a time that is most convenient to us. However, if you are someone who still watches live television, then you should remember that that falls under neither OTT nor VOD. The main thing you need to remember is the way the content is transmitted and if you have a choice to play the content at a desired time rather than a pre-selected time. This can help you categorize depending on whether it is OTT or VOD. Video on Demand refers to any type of content that viewers can choose to play at a specific time is considered as VOD. The content can be transmitted over any channel.